Is My Health Condition Covered by Medical Marijuana Law in My State? KOB.com ran a story last Sunday that announced the addition of a new condition to New Mexico's list of approved conditions for which medical marijuana may be used to treat. The article stated that inflammatory auto immune-mediated arthritis was recently approved to be added to the list. It also stated that migraine and bi-polar disorder were up for consideration, but did not get added to the list. This got me to thinking (and researching) and I found that in each of the 14 states that currently have medical marijuana laws on the books, the section in the law called "approved conditions" tends to differ slightly from state to state. Considering some of the other inconsistencies and frankly, bizarre interpretations of the laws (see last two posts), it should not come as a surprise to anyone that the conditions under which medical marijuana is approved vary from state to state and leave plenty of room for disagreements over interpretation. Before you apply for a medical marijuana card, I highly recommend going to your state's government web site and looking up the exact wording in the law, but here is an overview of some of the current laws. Cachexia – Physical wasting with loss of weight and muscle mass caused by disease. AIDS/HIV – AIDS is a disease that weakens the immune system to the point where an affected person is vulnerable to a wide range of infections and cancers that result in death if not treated. Chronic Pain – Pain that persists over a longer period of time than acute pain and is resistant to most medical treatments. Maine does not list this condition. Epilepsy – brain disorder in which clusters of nerve cells, or neurons, in the brain sometimes signal abnormally causing strange sensations, emotions, and behavior, or sometimes convulsions , muscle spasms, and loss of consciousness. Nevada doesn’t call this out, or MS specifically, but lists persistent muscle spasms or seizures. Multiple Sclerosis – a disease in which the nerves of the central nervous system (brain and spinal cord) degenerate. Severe Nausea – the sensation that the stomach wants to empty itself, while vomiting (emesis) or throwing up, is the act of forcible emptying of the stomach. Cancer – the uncontrolled growth of abnormal cells in the body. Cancerous cells are also called malignant cells. Glaucoma – a disease of the major nerve of vision, called the optic nerve. Vermont does not list this condition. Beyond these eight, some states add some interesting conditions to the list. New Mexico is the only state that includes Hospice patients in the list. Considering that the main purpose of Hospice is to give supportive care to people in the final phase of a terminal illness and focus on comfort and quality of life, this seems extremely appropriate. New Mexico also calls out painful Peripheral Neuropathy and I expect this could probably fall under the chronic pain classification of other states. Michigan includes Nail Patella, a hereditary condition characterized by abnormally formed or absent nails and underdeveloped or absent kneecaps. The Michigan Medical Marijuana Certification Center states that medical marijuana helps with the associated pain of this condition, so I expect this could probably fall under the chronic pain classification of other states as well. Rhode Island is joined by Michigan in adding Alzheimer's disease to their lists, although a recent study published in the latest issue of “Current Alzheimer Research” challenges the assertion that marijuana is beneficial for Alzheimer’s patients. New Jersey specifies terminal illness, if the physician has determined a prognosis of less than 12 months of life. This specification seems to be able to overlap into many of the aforementioned conditions. California in the only state to specify Migraine, although I can say from 23 years of personal experience that this disease can fall into both the chronic pain and the severe nausea category. Several states do include a caveat at the end of their list that is reminiscent of the beloved last words on every job description (the infamous, 'and all other duties as assigned') stating things such as: "other conditions are subject to approval by" … or, "any other medical condition or treatment for a medical condition adopted by" … and, "any other medical condition or its treatment that is approved by …"
So once again, Joe and Jane Public are left sifting through the convoluted and conflicting legalese of his or her state to see if their condition is covered. I think that you will agree that the conditions listed above deserve to be treated by any and all means available to bring relief to the patient. 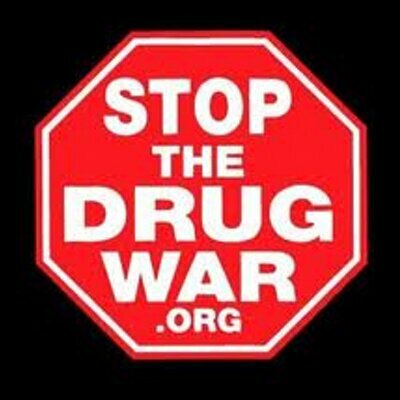 If Marijuana is empirically, experimentally shown to bring even some level of comfort for the people who are suffering, then nothing should stand in the way of all states passing a federal medical marijuana law - the first step to the real goal of Ending Prohibition, once and for all. Just a quick follow-up on the last post about the confusion being created by the here and there; by this and that medical marijuana law and the conflicting, even hypocritical enforcement thereof. Yesterday a jury in Pueblo, Colorado found a man not guilty on a charge of cultivating marijuana but guilty on a charge of possessing it. "Under this verdict, a caregiver may grow the marijuana but it would be illegal for them to possess it. It just makes sense that if you can grow it, you should be able to possess it." His lawyer was a bit more clear (cough, cough) on the subject stating, "... the jury's decision delivered a clear message. "The jury really got it, they sent home the message loud and clear that government can't stop people from growing their medicine." Right ... but they can't possess it during or after they grow it ... sooo, what exactly did they get? OMG! will the craziness ever end? Picture this ... you have chronic pain and the only thing you have found to ease that pain is marijuana. So you take the time, pay the fee, get the card, go to the dispensary (also a LEGAL entity) and get yourself LEGAL marijuana to relieve your symptoms ... and you lose your job by failing a drug test. That's exactly what happened to Luke in Colorado. Luke worked as a guard at a private jail and they have a no drug tolerance policy and all employees are tested regularly. Well, Luke failed the test ... not surprising ... and he was fired. The way the current medical marijuana law in Colorado works, there is no protection for employees if they fail a drug test, even though the drug was legally obtained ... does anyone see the problem here? Lawyers make the case that although the herb may be legal by state's decree, smoking marijuana is still illegal by federal law, so employers have the right to let someone go based on the federal law. And it gets even messier when, "employer who knowingly hires a medical marijuana user is "arguably complicit in an activity that's illegal under federal law." WOW! 38. What should I tell my employer if I am subjected to a drug test? The law is silent on this issue. Seriously, that is really what it says, "The law is silent on this issue." What the hell does that mean? The wording of each state's law concerning medical marijuana is different and as always, open to interpretation -- which varies depending what side of the lawsuit you stand on. And although advocacy groups say that they already have hundreds of complaints of employer discrimination, not enough cases have been brought to trial to create anything resembling a standard precedent across the board. In Michigan the law states that, a registered user can't be "subject to arrest, prosecution or penalty in any manner or denied any right or privilege including ... disciplinary action by a business." But then goes on to say that, "nothing in this act shall be construed to require an employer to accommodate the ingestion of marijuana in any workplace or any employee working while under the influence of marijuana." So that should make it clear as mud when someone goes to court in Michigan. We've said it before, we'll say it again, the best way out of this regressive tar pit of contradictory and extraordinarily costly policies is by passing Federal Legislation that Ends Prohibition by decriminalizing marijuana, once and for all. If you haven't done so already, please dig deeper into the specifics of HR5843 (Thomas | GovTrack) and get involved educating your family, friends, community, and especially your church that there is active federal legislation that could address all these and many more issues, almost overnight, once passed. SOURCE: Daryl Cagle. <-- Go there NOW! Blown Gasket on Infinite Improbability Drive? Today in the Wall Street Journal Andy Newman reported on a poll released by Quinnipiac University (who?). The poll -- so recent it is not even on the University's web site yet -- shows that a majority of Republicans, YES, REPUBLICANS, favor legalizing marijuana. Even the Infinite Improbability Drive itself doesn't seem capable of generating such an unlikely scenario, because the only thing more infinite than infinity itself and more improbable than absolute zero probability is the potential for the ideologically and emotionally hijacked, tinfoil hat clad, Republican Tea Party to make the least bit of sense; particularly on this topic. ... ummm in New York, ummm sort of, ummm on this topic and only this topic and ummm only 55% of them! Maybe, just maybe, it's a start.